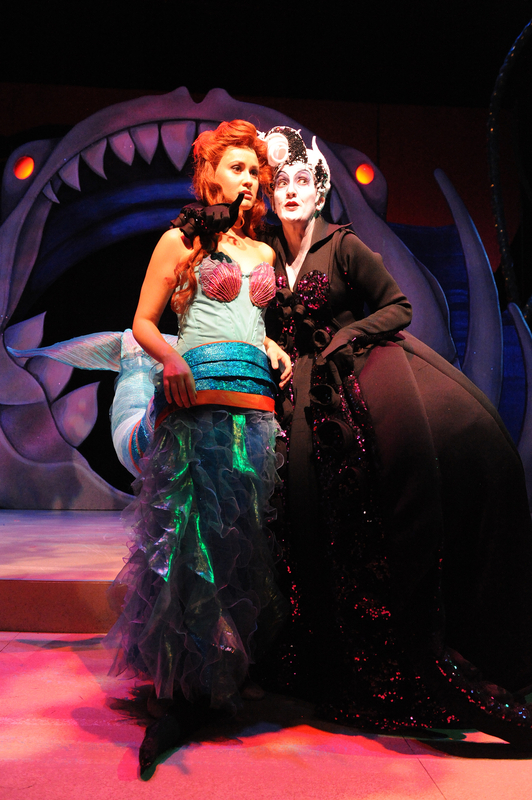 The Ursula costume – the beginning. My first encounter with Ursula’s “body” was a brief one, occurring just after I’d completed the publicity photo shoot for the production back in October. 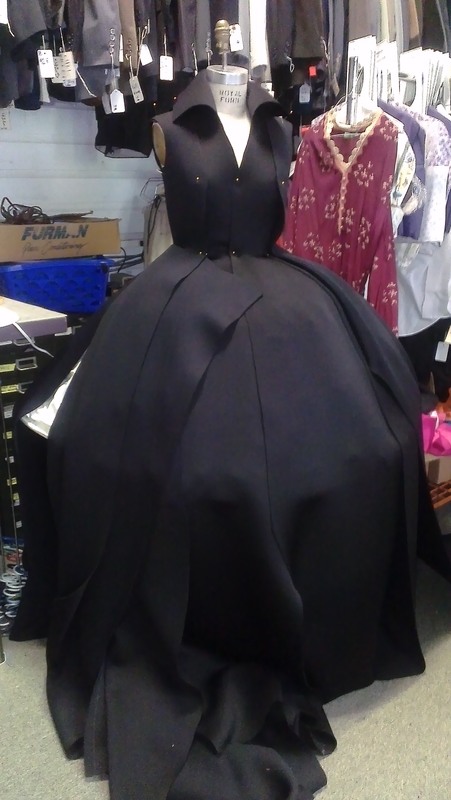 With designer Pei Lee leading the way, we ducked into the costume shop, where I was shown the very beginning of work on the creation: a dressmaker’s form draped in a substantial-looking black fabric. Pei informed me that the dress would be built largely of neoprene, which is the same substance wetsuits are made of. I hefted a piece of it, afraid it would be heavy, but it wasn’t. With a slightly slippery surface and a matte sheen, it would give Ursula the “slimy” look Pei was aiming for. It wasn’t until rehearsals started a few weeks later that I saw Pei’s rendering of the costume. I wish I’d had the sense to take a picture of it; it was a work of art, and I think someone was presented with it on opening night, gosh darn it. 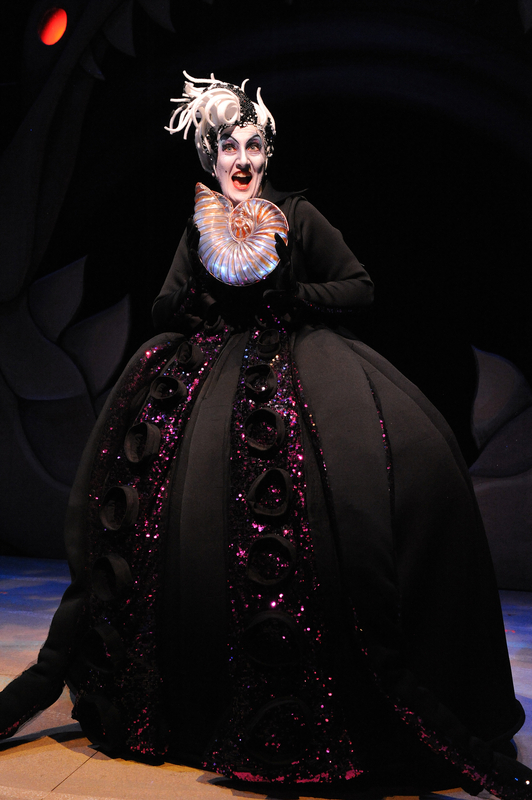 * It featured two long tentacles sprouting just above each hip, which could be manipulated by me as well as the two actors playing Flotsam and Jetsam, Ursula’s eel henchmen. 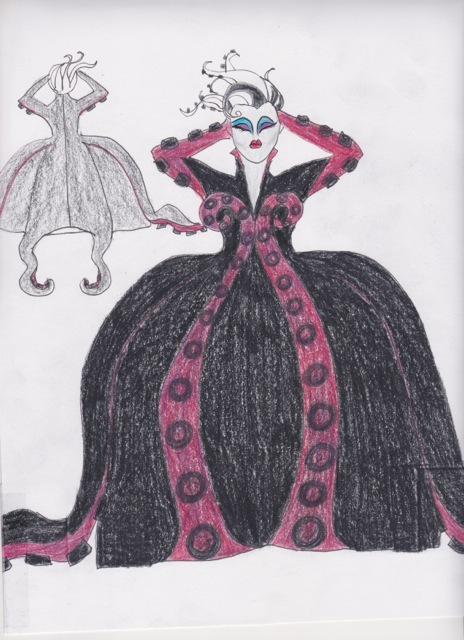 A second pair of tentacles protruded from beneath the dress in the rear, the third pair would run up the front of my dress and coil neatly on my bosom, and the final pair would be the sleeves of the dress. Pei Lee’s original design for the Ursula costume. 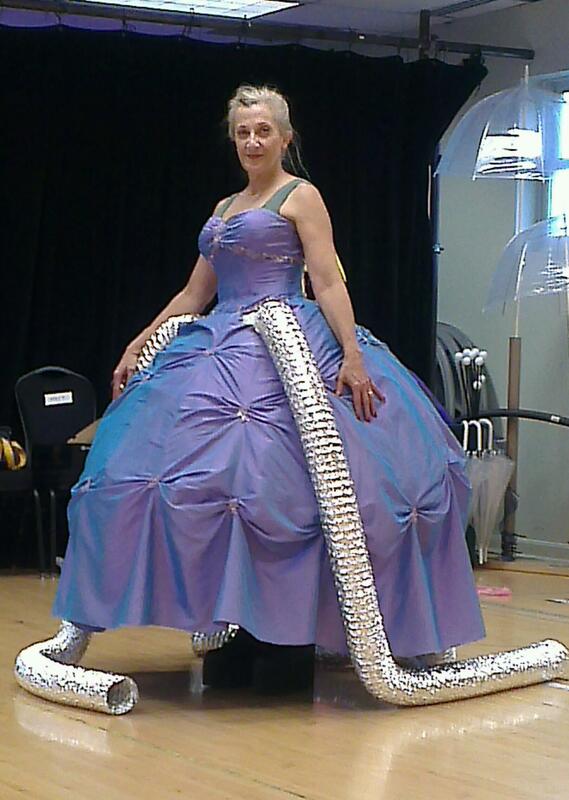 “Rehursula” – an old ball gown and flexible aluminum duct. I realized early on that I would need a mock-up of the costume for rehearsals so I could get accustomed to handling the tentacles. Pei and her crew kindly provided me with a rough version, constructed from an old ball gown (I recognized it from the production of Cinderella I’d done at Olney two years before) and flexible laundry duct, with a hoop skirt and a bumroll underneath to make it stand out. (For the uninitiated, a “bumroll” is a fashion accessory dating from the 15th and 16th centuries – a crescent-shaped pad worn to accentuate the hips and give the illusion of a small waist.) We named this creation “Rehursula.” It was a struggle getting into it and once in, it was difficult to sit – a harbinger of things to come. The duct scraping along the floor was also noisy as hell, but it served its purpose, letting us stage business that otherwise would have had to wait until we moved onto the set. I was also provided with my show shoes fairly early on, for which I was grateful. Pei wanted me to look quite tall in comparison to other characters, so several pairs of outrageous drag queen platform boots were ordered for me to try out. Problem was, since they were built for men whose feet are usually wider than women’s, my foot shifted around in them, making me feel wobbly and unsafe. We finally settled on a sneaker-style pair with a four-inch wedge. 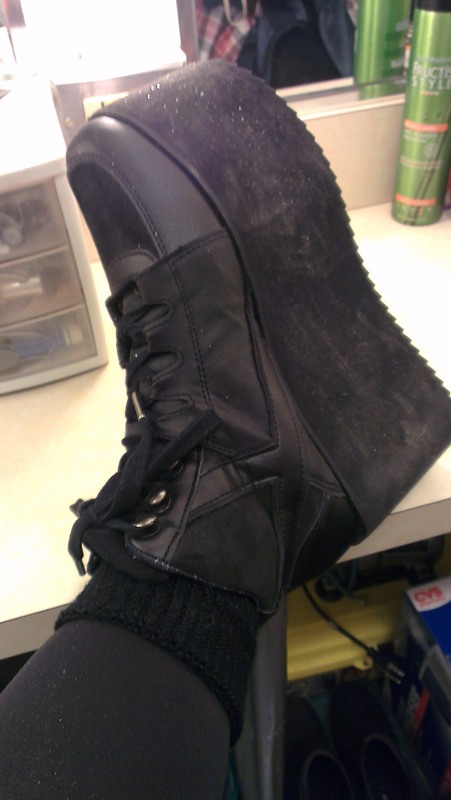 They had a somewhat Frankenstein-esque appearance, but they gave me the height I needed and were surprisingly comfortable. You can see them at right; I’m also wearing them in the Rehursula photo. 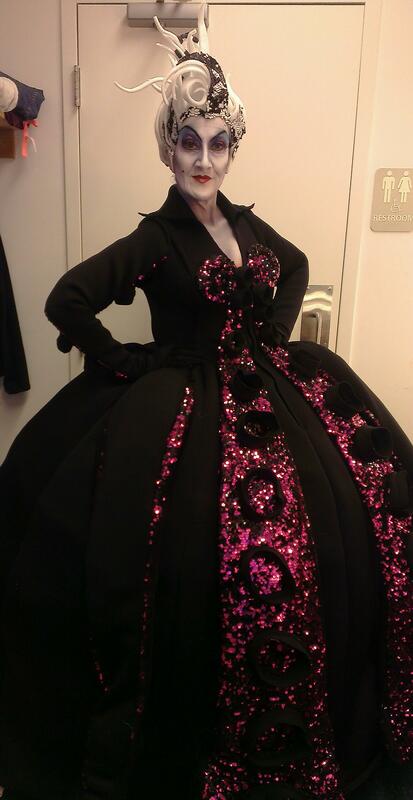 A dressing-room shot of the incomplete Ursula costume – at this point lacking the rear tentacles and some additional sequin trim on the collar. Just beneath each hand are the moveable pair of tentacles, without their cute striped cozies. Once we left our rehearsal studio and moved onstage, it became clear that the design of the rear tentacles would need to change. Flotsam and Jetsam’s costumes included Heelys – those sneakers with a skate wheel built into the heels – and the trailing tentacles would present a tripping hazard for them. Pei tried to puzzle out a solution while dealing with another unexpected problem: the purple and black sequins that formed the underneath of the two moveable tentacles looked great, but they snagged on the neoprene, creating long horizontal pulls that interfered with the desired slimy look. As a temporary solution, long narrow bags with drawstring openings were built to cover the tentacles during rehearsals so they wouldn’t do any more damage. The wardrobe interns referred to them as “cozies” and their striped fabric added an incongruously cheery note to the Ursula ensemble. 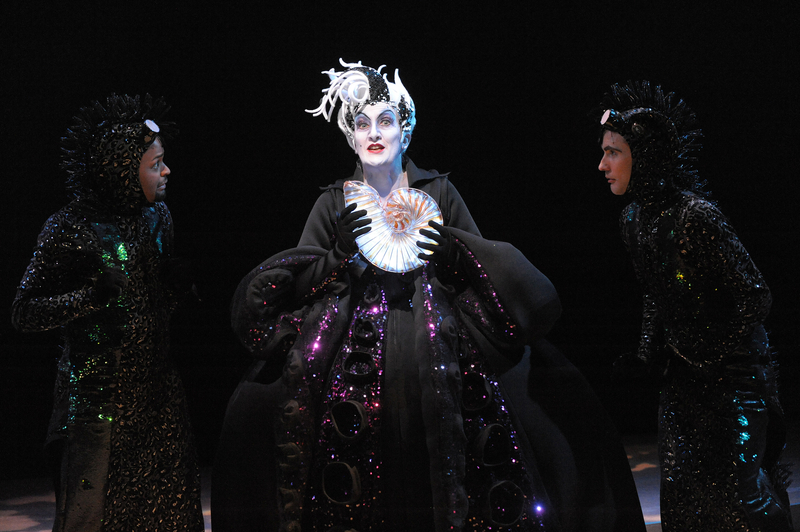 The ensemble also included a pair of elbow-length black gloves, worn beneath the tight sleeves of the costume. The sleeves were so tight that I couldn’t take off the gloves without partially disrobing. The aforementioned hoop skirt and bumroll used for Rehursula were also present beneath the costume, joined there by a very puffy crinoline. All these layers made me very wide indeed (as well as unable to go to the bathroom). Looking rather like Mother Hubbard, Ursula weighs in. The moveable tentacles are bunched up in my arms; you can just see one of the rear tentacles peeking up in the back. By the time we went into previews, I was still lacking a rear set of tentacles, although the sequined sections of the offending moveable pair had been covered by a fine black netting, which did away with the snagging problem. The final pair of tentacles arrived two nights later – Pei still had them protruding from the back of the costume, but rather than trail on the floor, they ran up the back of the dress and ended with an impudent little curl. They weren’t all that heavy – certainly not compared to the moveable ones, which were rather like dragging around a pair of bolsters – but I could still feel the additional weight. It made me curious as to exactly how much the whole costume, tentacles and headdress and all, weighed. A few days later I brought in a bathroom scale and got the verdict: twenty-three pounds. Ursula reading her Kindle and enjoying a refreshing beverage in the Sub-Lair. 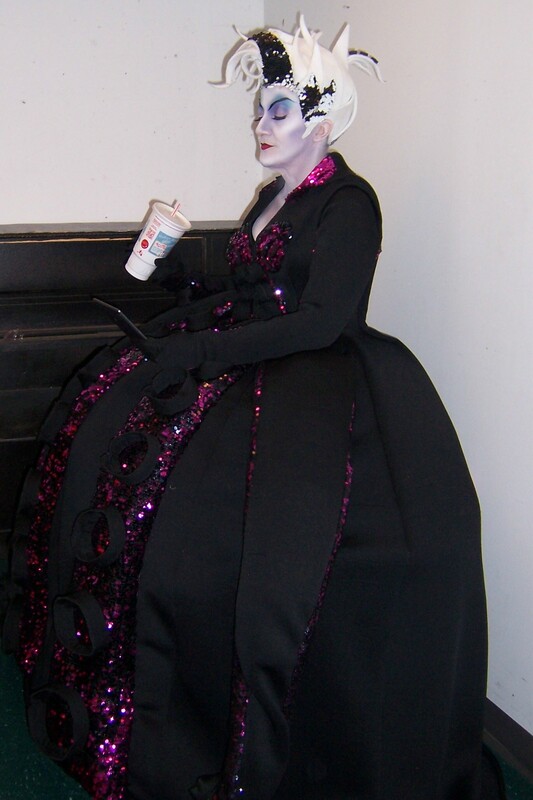 The stool I’m sitting on is completely hidden beneath the costume. 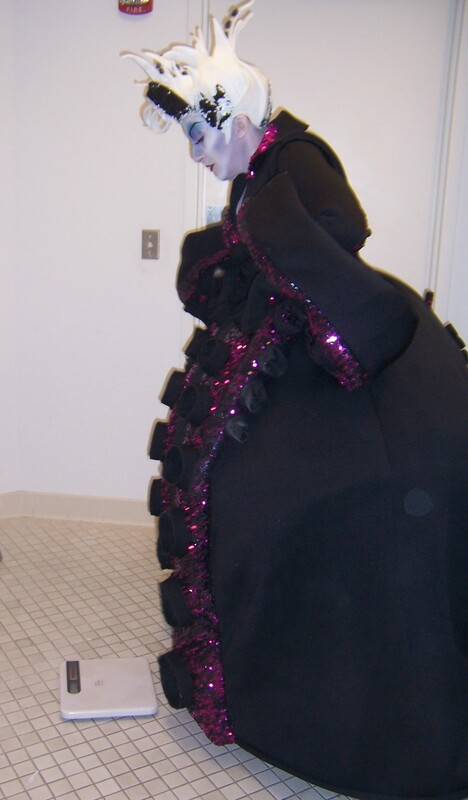 I quickly realized that the sheer mass of costume was going to make sharing a crowded dressing room problematic. Even sitting on the stool provided me (I couldn’t use a chair), I took up a lot of valuable real estate. And in the green room, no matter where I stood, I was in the way of stage crew, wardrobe staff, musicians and my fellow cast members. I also couldn’t take the stairs to the stage in such a bulky outfit (well, I could, but it would have been a complicated affair). Fortunately the Olney mainstage is equipped with an elevator, so getting to the stage level was solved, and it so happened there was a nice little nook just in front of the elevator on the lower level where I could sit (on yet another thoughtfully-provided stool) and be out of everyone’s way. It had enough light for me to read my Kindle (turning pages in a regular book while wearing gloves proved difficult) and there was a old prop piano nearby to hold a water cup, tissues and other items. It was cold there, but I was so snug in my neoprene and gloves that I didn’t mind. Maneuvering backstage was another story. The elevator took me into the stage left wing, but all of my entrances in the show are from stage right. There’s a crossover hallway behind the stage area, but for our production it was being used for the ensemble’s quick changes (and they had a lot). After having to push past half-naked cast members a time or two, I determined that I’d need to come upstairs early for my scenes to make that backstage cross when the crossover wasn’t being used as a dressing room. Fortunately the wings of the Olney mainstage are pretty spacious, so once I’d made the cross I was generally able to find a spot to stand where I wasn’t in anyone’s way. 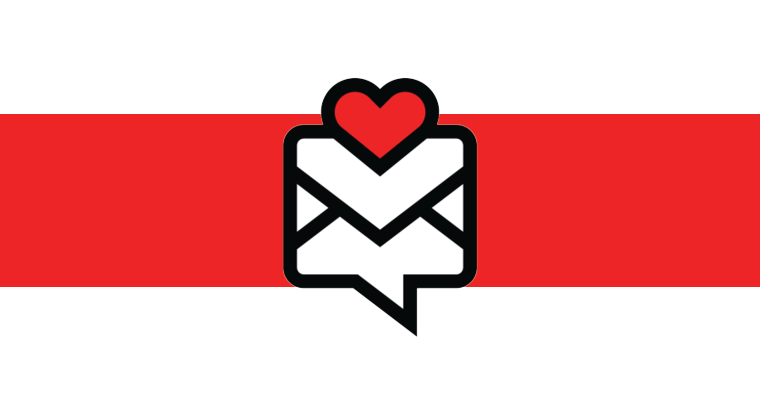 At the time of this writing, The Little Mermaid has opened to great reviews (check my News, Notes and Upcoming Gigs section for pull quotes) and we are settling in for our holiday run. I’ve developed a routine now: Gracie and I come in an hour early and she starts her own makeup while I pincurl my hair. Then she does the airbrushed portion of my makeup and I put the finishing touches on eyebrows, eyes and mouth, then put on my mic belt, pin the mic into my wig cap, and get into my shoes and layers of underpinnings. I tromp across the green room like some sort of deranged Black Swan, where Taylor or Kelsey or Joseph (or a combination thereof) are ready to help me get into the costume and headdress. The costume is too heavy to hang; it’s bundled into an old grocery cart when I’m not wearing it (fortunately, neoprene doesn’t wrinkle). Togged out, I retreat to my Sub-Lair with my Kindle and a cup of water (equipped with a straw so I don’t spill and ruin my makeup). There I wait, reading quietly until it’s time to go upstairs and wreak havoc on unsuspecting merfolk. Here are some production photos so you can see costume and headdress (and me) in action. These were taken by the gifted Stan Barouh during first preview, so I’m still down a pair of tentacles. Even so, you can see that it’s an astonishingly effective costume – worth every bit of trouble it gave Pei Lee and her dedicated costume crew. Here’s to all of you! Clearly up to no good.